Estate planning really should become a priority as soon as you acquire your first asset, have a child, or step into adulthood in any other truly meaningful way. And yet many of us put it off for far too long, leaving ourselves and our families at risk of getting stuck in the court system in the event of an unexpected accident, illness, or injury. I get it, planning for your incapacity and death can be scary. But it’s even more frightening to think of the potential tragedies that can arise if you and your family don’t have the right planning in place. 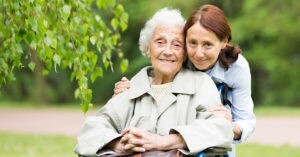 At the senior stage of life, effective estate planning is urgent, both for you and the people you love. And if you aren’t a senior yet yourself but have senior parents, getting your own planning handled can serve as a model to help get your parents moving on their plan. Wills require your family to go through probate, which is time consuming, open to the public, and expensive. Wills don’t offer any protection if you become incapacitated and unable to make your own legal, health, and financial decisions. If you’re relying solely on a will for estate planning, you’re missing out on many valuable safeguards for your assets, and you’re guaranteeing your family will have to go to court when you die. When it comes to a trust, it’s not enough to simply list the assets you want it to cover. You must transfer the legal title of certain assets—real estate, bank accounts, securities, brokerage accounts—to the trust (known as “funding” the trust) to avoid probate. While most lawyers will create a trust for you, few will ensure your assets are properly funded. But we’ve got processes in place to keep track of our clients’ assets throughout life, making sure none are lost to the state’s Department of Unclaimed Property, and ensuring their families aren’t inadvertently forced into court at the most inopportune time. Far too often people prepare a will or trust, put it into a drawer, and forget about it. But your estate plan will likely be worthless if you don’t regularly update it when your assets, family situation, and/or the laws change. We recommend you review your plan at least every three years to make sure it’s up to date and immediately amend it following important life events like divorce, deaths, births, and inheritances. If you aren’t sure what you need, begin by coming in for a Family Estate Planning Session. It will be custom-designed to your assets, your family, your wishes, and to educate you on the best ways to reach your objectives. We don’t just draft documents; we ensure you make informed and empowered decisions about life and death, for yourself and the people you love. Call us today at (913) 871-2188 if you’d like more information (and mention this article to get a complimentary consultation).